Join us on Friday, December 7 in the transformed Argyros Forum Student Union for a night of comedy. Our comedic line-up will feature Sammy Obeid... This event is FREE! 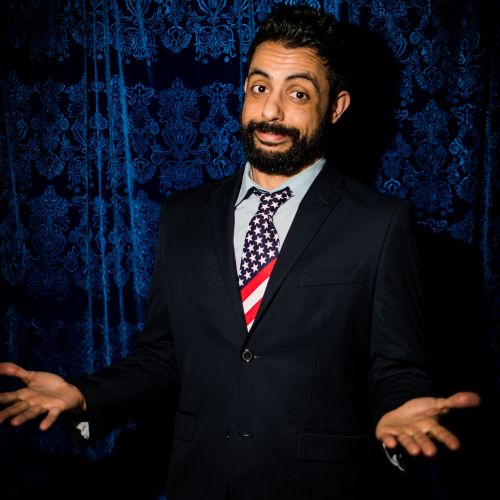 Lebanese-Palestinian-Syrian-Italian-American, born in Oakland, California, Sammy Obeid (Twitter, Instagram, Facebook) is best known for his 1,001-day streak of consecutive comedy performances. It began on December 26th, 2010, and concluded on September 21st, 2013– four days after an appearance on TBS’s Conan. Breaking the old world record on Day 731, Sammy set the new one at 1,001 Arabian Nights of Comedy. For questions and accommodations, please email Steven at upb@chapman.edu. Student MUST Bring a Chapman ID and a digital or printed copy of their ticket. Chapman Students will not be admitted without ticket. Seating is first come, first served. Limited standing room available.